How to improve home and office security, fire safety and energy saving without ruining your bank account? As it made clear, the unprotected or under-protected letter plate (letter box) undermines the vital specifications of the front door. This is where retrofitting IdealGuard™ brand secure by design multifunctional eco letter box product can help like no other product. All one needs to do is install this special security, draught proofing and insulation product to eliminate or significantly reduce the risks and negative effects associated with the letter plate. As a draught proofing and insulation products the IdealGuard™ products are suitable for installation under the current (at the time of writing) Green Deal scheme. By addressing a real need and focusing on cost-effective performance, IdealGuard™ brand superior products deliver the best value, social, economic and environmental benefits. This range of products is designed as a universal long-term aesthetic solution that is compatible for fitting indoors to almost all kinds of doors/door materials, including fire doors. 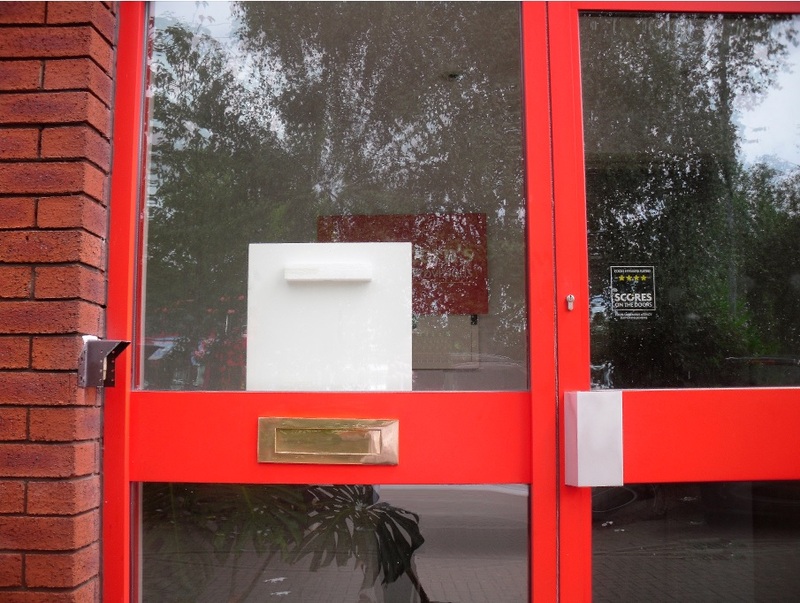 Fitting IdealGuard™ letter box product will not undermine the door structure or increase the fire load of the building and there is no need to change your behaviour as there will be no disruption to mail deliveries through the traditional letterplate (letter box). IdealGuard™ brand letter box products are suitable for new built properties and for retrofit. Furthermore, as the product catches the mail, it is helpful for back sufferers and people in wheelchair who cannot access mail when it is scattered on the floor, and keeps the mail away from the pets. There is a lot more to IdealGuard™ brand than first enters the eye. All models are multifunctional with bonus vacant space that can be used for fixing and housing of various items and latest technology solutions, such as wireless energy monitor, entry phone, alarm, access control, key cabinet, the Premises information documents and more. The opportunities are endless. Most of these benefits will have the immediate effect for the property occupants. It would make homes and offices more secure and comfortable, especially in winter, when one can physically feel the draughts with the associated discomfort and getting colds never mind higher bills. This is also important for doors compliance with a number of the mandatory laws and regulations, in particular, the Building Regulations Parts B, E and L, Regulatory Reform (Fire Safety) Order 2005 (RRO), Housing Act 2004 and new Construction Products Regulation (CPR). Local Government Authority (LGA) guidance 'Fire safety in purpose built blocks of flats' Section 62.17 states that one option for upgrading the existing doors for fire resistance is by fitting a protected letter box ('upgraded FD30S' door). The alternative may mean blocking the letter plate or replacing the whole door and fitting a mailbox. As the external mailbox is exposed to the environment and it is the usual target for vandalism and mail theft, we have an equally efficient solution for mailbox. Fitting IdealGuard™ secure by design multifunctional eco mailbox product will provide the best market leading solution for mailbox security and it is an easy DIY job. You will receive all usual mail items including letters, magazines and newspapers. In blocks of flats IdealGuard™ secure by design multifunctional eco mailbox can be fitted in entrance lobbies or on exterior walls. To view IdealGuard™ products specifications go to Specifying IdealGuard™ .